3 Fantastic Event Spaces to Choose From! 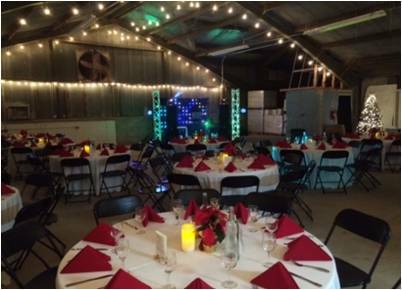 With three distinct spaces within the facility, we can accommodate private events even during regular business hours. We also offer a facility buyout option to accommodate larger events any day of the week. 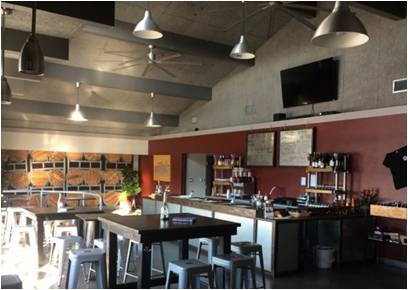 Host your own private wine tasting in our industrial themed tasting room. The bar itself was built by our owners from local reclaimed scaffolding timbers. Set up for small group seating or arrange the room networking style with plenty of space for musicians, speakers, or a food buffet. Our 70” HDTV display monitor is available to support your meeting presentation or entertainment needs. 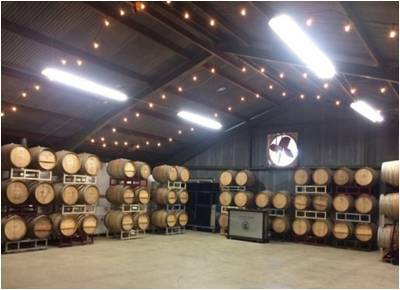 We may be making wine by day but we clean up well to host your special event by night. Clear the floors for dancing or set out the linens and fine china for a sit-down dinner surrounded by stacks of wine barrels. Our amazing culinary partners offer an extensive variety of food service options, ranging from light hors d’oeuvres to a five course, wine-paired dinner. Plenty of room for a band or DJ. Looking for a great venue for your holiday party? 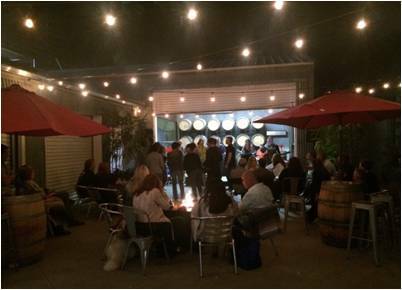 La Mesa Wine Works can host groups from large and small with a variety of service formats using our caterers or yours. For more information, date availability, or for assistance in planning a custom event tailored to your group’s needs, please contact our Event Coordinator, Cindy Rutledge, at (619)-741-0700. Or send us your information and we’ll get back to you. 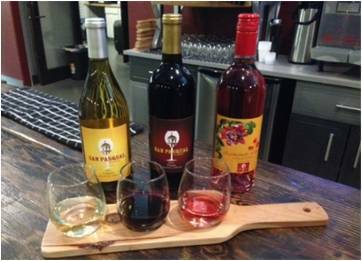 A variety of presentation formats are available for your event, including guided tastings, hosted wine bar, wine & food pairings, themed wine flights, and bottle service. 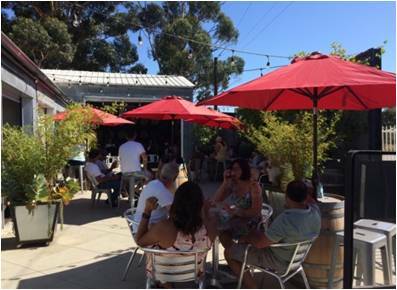 Our friendly and know-ledgeable staff will help you create a memorable wine experience tailored to your group’s interests while staying within your budget. 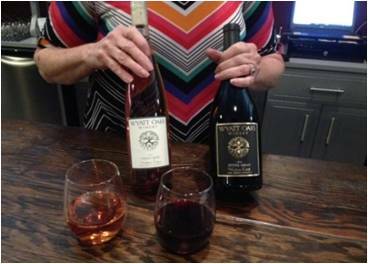 Community Support: The owners and staff of La Mesa Wine Works are proud to support the local community and look forward to helping you plan a wine-themed event to benefit your special cause. 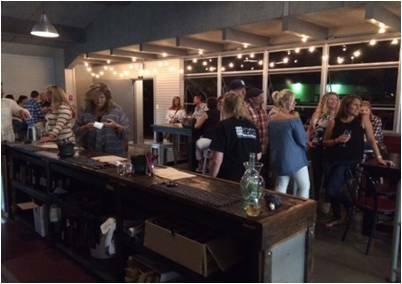 We offer discounted rates to qualified non-profit groups hosting fundraising events and can even donate a percentage of wine sales for the evening to help make your fundraiser a success.